A new scanning technique could be used to identify dormant cancer cells and help stop the disease coming back, according to researchers. "Sleeper cells", which temporarily stop growing while they build up energy stores to be used at a later stage, often lead to the recurrence of cancer. By sitting in a dormant state, the cells can evade treatment and so prove resistant to therapy, meaning some patients suffer a relapse. Using a type of scan called positron emission tomography (Pet), scientists measured the build-up of sugary energy stores in the sleeper cells. Previously, the only way to examine energy stores in such cancer cells was by surgically removing the tissue for analysis. The new imaging method was used to search for dormant cancer cells in mice. A radioactive label was attached to the sugar molecules in the cells so the scanner could track their take-up. Lead researcher Professor Eric Aboagye said: "The ability of cancer cells to escape treatment by entering these dormant states has stymied progress for the treatment of numerous different cancers." The Imperial College London scientist said the technique "has immediate potential in the clinic to assess how well drugs are working for patients, and to warn of potential relapses post-treatment". 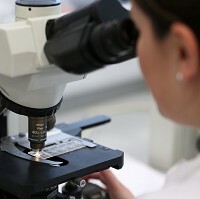 The study, published in the journal Cancer Research, was funded by the charity Cancer Research UK. Nell Barrie, from the charity, said: "This method shows real promise as a tool for telling doctors how much of the cancer could possibly be escaping treatment. "At the moment this method has only been used in mice, but this sort of technique can be adapted for the clinic to help save more lives." The research offers encouragement for cancer sufferers but travel insurance for cancer patients is still a must to cover for all eventualities.